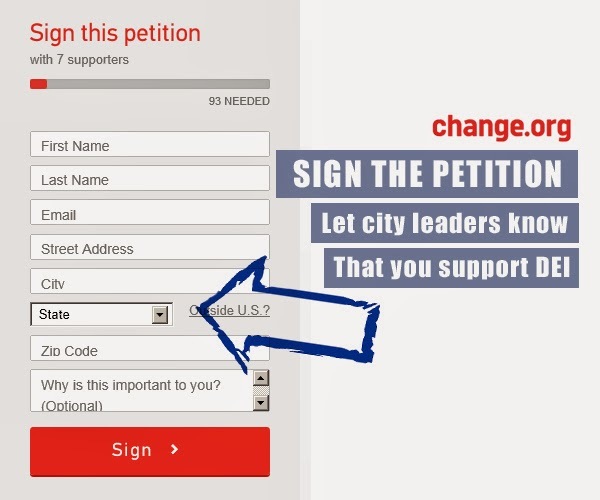 Please take a moment to sign the online petition letting city leader know that DEI is very important educational project that needs their support and participation. Construction downtown and new metro lines that span Los Angeles are offering a host of new work opportunities, but so far those jobs have largely been outsourced. 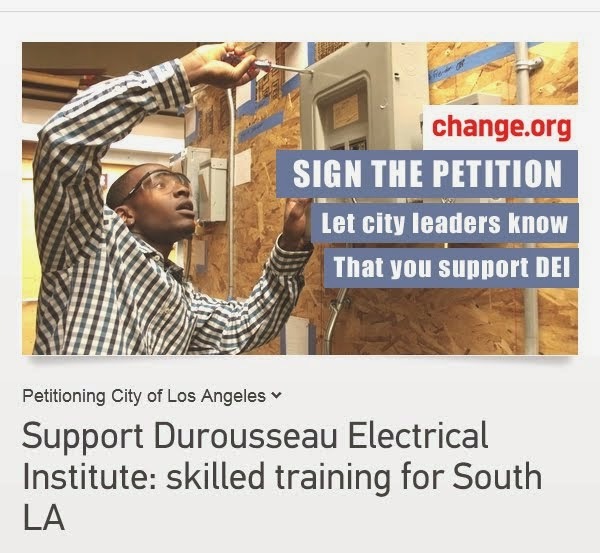 Help us keep the jobs right here, where they are desperately needed, by supporting Durousseau Electrical Institute, skilled electrical training. Sign the petition here. And be sure to tell your family and friends to stop by and sign the petition too. Thank you so much for your support! 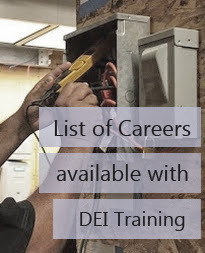 DEI focuses on hands-on training and theory, so graduates have the practical skills needed to be effective on the job site. Electrical work cannot be outsourced; there will always be a need to have skilled technicians on hand for maintenance and construction. In an economy where any job is hard to come by, the journeyman’s certification opens the door to over 80 different jobs, many right here in South Central. 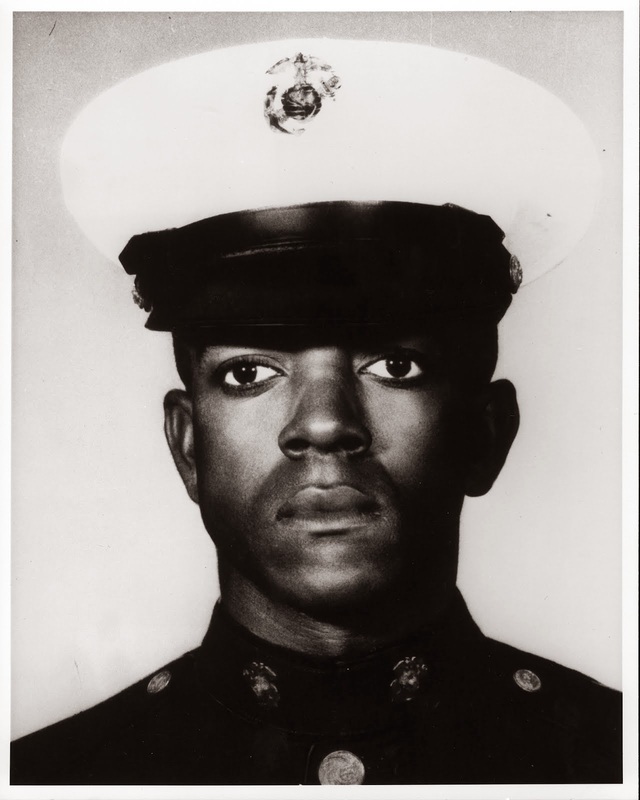 Answer After the 1965 riots, the federal, state, and local government officially pledged to bring more job and training opportunities to South Central Los Angeles. Those promises have yet to be fulfilled. Electrical training is a large step in the right direction. In some areas of South Central, unemployment is at 24 percent and even higher among minority groups. 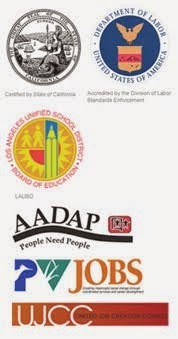 With highly skilled graduates, DEI represents an opportunity for South Central to be known for its skilled training. 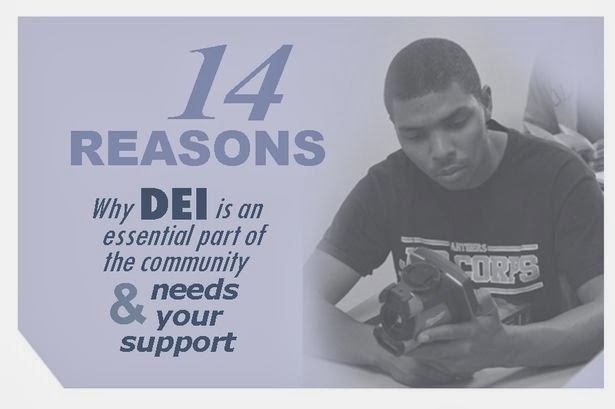 As a non-profit, DEI commits to being a catalyst for real change in the community. 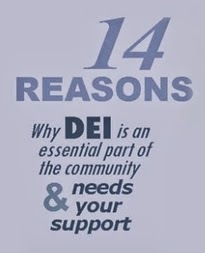 DEI instructors are committed to the success of their students. With tutoring and guidance along the way, if a student has a strong desire to succeed, they will. 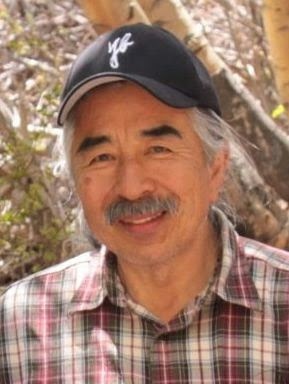 As an appendage of Durousseau Electric contractor, DEI has established connections with businesses and contractors throughout the city. Students learn to incorporate technology like the programmable logic controller which automates electrical functions; such knowledge makes our graduates in high demand. Our courses train students to use sustainable, energy efficient technologies; skills that are becoming more important as construction codes emphasize environmental responsibility. The electrical field is one that engages the mind with new challenges every day. Often students, who didn’t perform well in academic settings, discover how much potential they have using the problem solving and hands-on approach required in the electrical field. Electrical work is a career. By training to become an electrician, graduates have the freedom to choose the direction of their professional lives including the option of owning their own business.